Both the Cottonwood Canyons are watersheds, which means no dogs allowed. 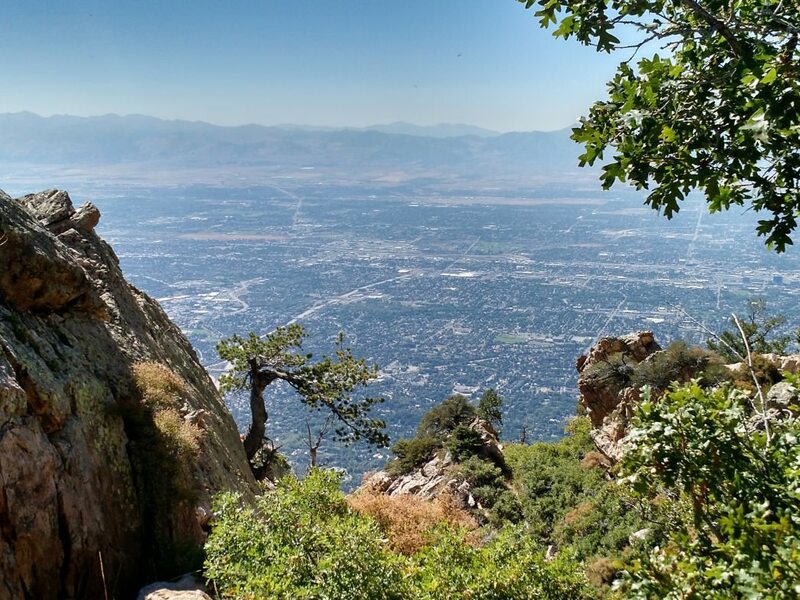 Neff’s Canyon is a dog-friendly option that’s a short drive from downtown Salt Lake City. 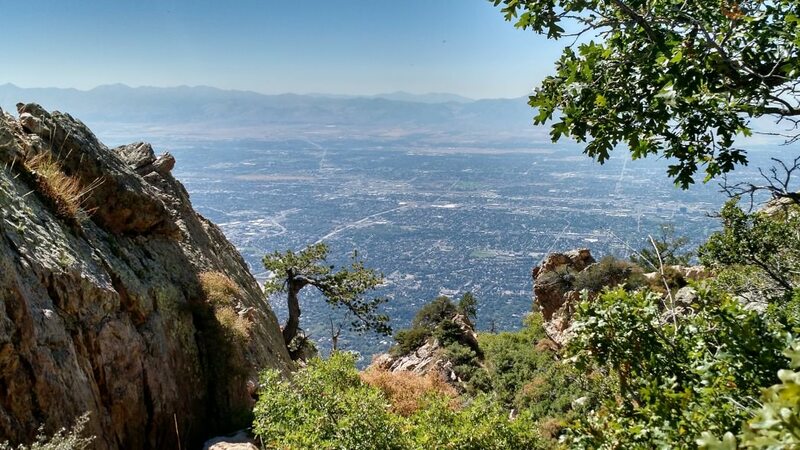 It’s filled with water and expansive views of surrounding peaks, brushes the edge of the Mount Olympus Wilderness area, and is a quick escape from downtown. The trailhead for Neff’s is just south of Mill Creek Canyon—conveniently located at Olympus Cove, so you don’t have to drive a washboard gravel road or endure a long climb up a canyon. Just park the car and start your hike. Neff’s Canyon Trail is 3.5 miles long. While not as popular as some of the hikes in the Cottonwoods, Neff’s Canyon has one distinct advantage over the others—you can bring your dog along on this one. Although they have to stay on-leash, dogs love this trail because of the stream that runs through its center and all the muddy possibilities that presents. You’ll love it too because it’s gorgeous, surrounded by secluded wilderness as it climbs away from the valley floor up into a glacial bowl. The first landmarks you’ll reach on the old jeep trail are a water tower and a small service shack with a chain-link fence around them. Continuing up the trail you’ll reach an area with a little brook running through it. If you go past the brook on the left fork, it’ll take you to a narrow singletrack trail that climbs up the center of the canyon and winds its way up through some scrub oak and scree. As you come to a fork in the trail, the brook reappears and you continue up the canyon. Eventually you’ll reach a mountain meadow in the Mount Olympus Wilderness area. After you soak in the wildflowers and snap some photos, it’s a good idea to eat a snack. This is also a great place to turn around. If you’re really feeling adventurous you can explore other drainages that stem from this area. Please note, it is not uncommon to see snakes on this trail. When it’s summertime and the snakes are more active during the day, they tend to bask on the trail and some of them have rattles. Just keep an eye out for them and be cautious. The area has a good deal of exposure to the sun, so remember sunscreen. Insect repellent is also a good idea because this canyon is filled with water and can get buggy. To get to Neff’s Canyon from the Convention Center, plug “Neffs Canyon” into your GPS and start moving. 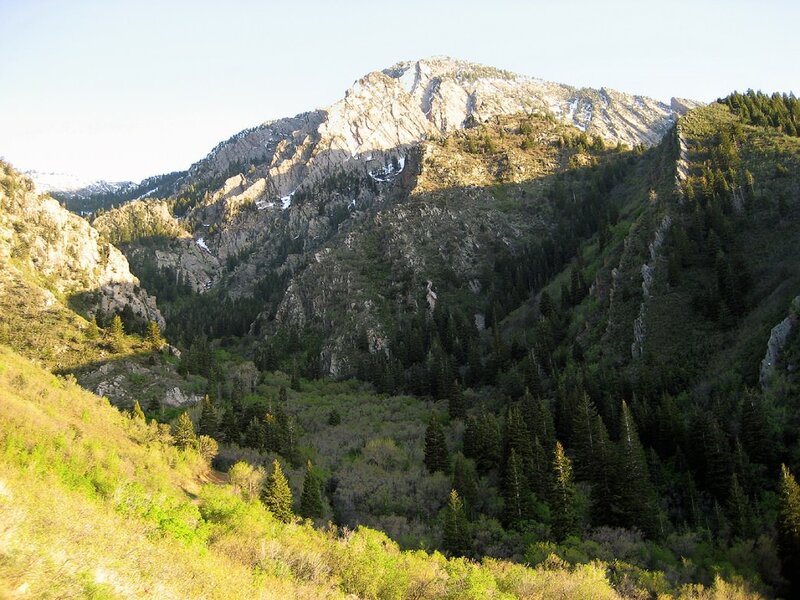 You’ll head towards Mill Creek Canyon on 3800 South Wasatch Boulevard. At the first stop sign (Parkview Drive/3700 East) turn right and go 1.1 miles to Parkview Terrace (4175 East 4245 South). Turn left and continue to White Way (4275 South 4260 East). Turn right heading eastward uphill to the end of the road. The road ends at the parking lot and the trailhead is marked clearly. Parking is usually available and always free. The hike has no official hours.